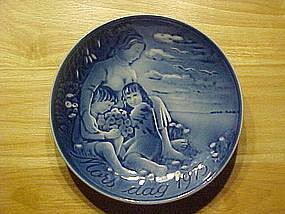 1975 Mothers Day Plate made by GEORG JENSEN Inc.. This plate measures 6 3/4" in diameter and it is in fine condition. 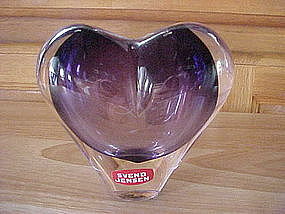 It is signed " GEORG JENSEN Inc., MADE IN DENMARK." It features a Mother with her two children sitting on a shore. 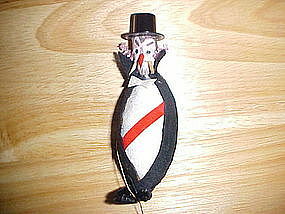 Vintage 4+" tall paper mache and cloth hand painted Vampire Halloween Ornament. Circa 1950's. 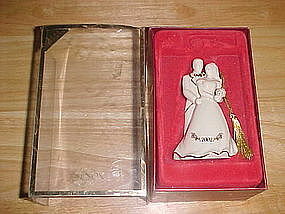 It has a string for hanging with a attatch tag mark MADE IN JAPAN. In great Condition!!! Vintage 17" tall ( including handle ) ESSO Gasoline childrens Halloween Bag circa late 1950's. 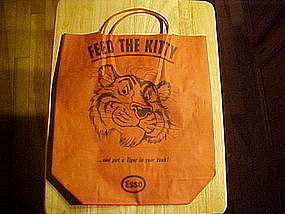 It features the smiling ESSO Tiger and says " FEED THE KITTY and PUT THE TIGER IN YOUR TANK." 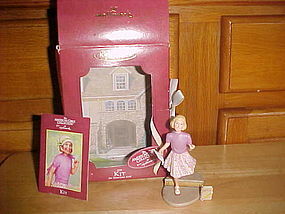 These were give aways during the Halloween season at ESSO gas stations in the late 50's. They are in Excellent condition!! 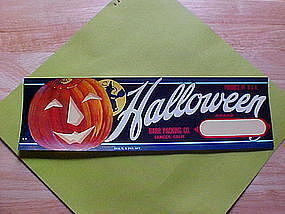 Rare Halloween fruit crate label, Barr Packing Co., in Sanger, CA., Circa 1950. Vintage 13" wide Super Colorful label in Excellent Condition!!! Says " HALLOWEEN " and pictures a grinning Jack-O-Lantern and a Witch flying by the Moon. This is the Oldest and the most desirable version of this label.